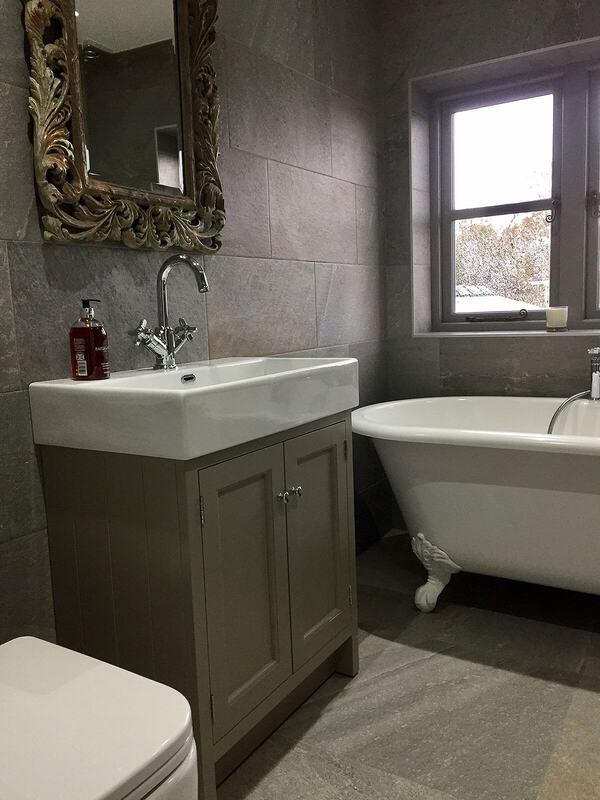 A recently completed bathroom fully supplied by Clay & Rock. 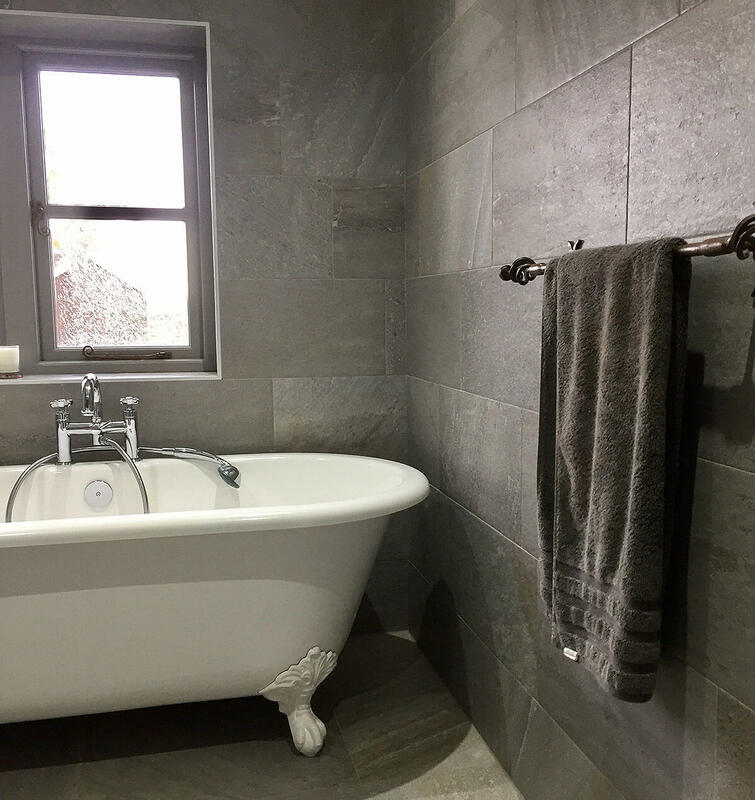 A great combination of matching Quartz Grey Porcelain wall and floor tiles give this Shropshire bathroom a real and natural yet contemporary finish. 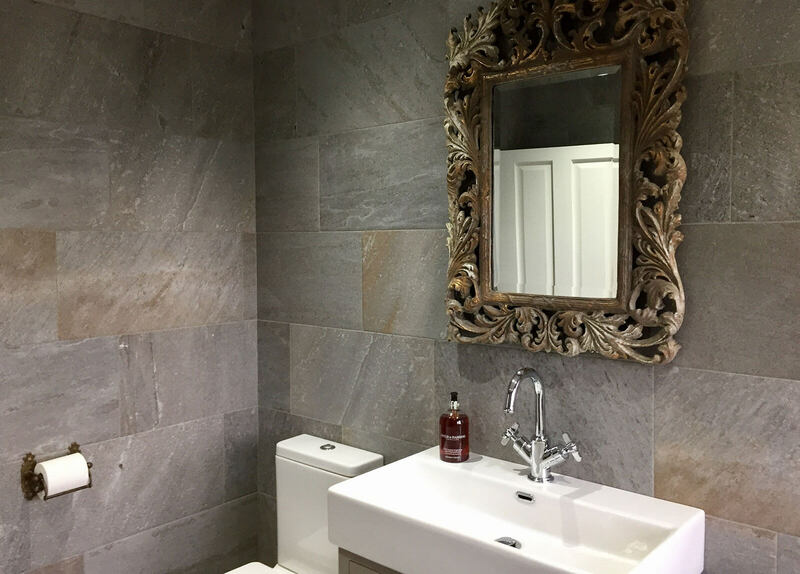 Both the Victoria & Albert Bath and Roper Rhodes wash Unit, along with Mirror and taps are supplied by Clay & Rock. 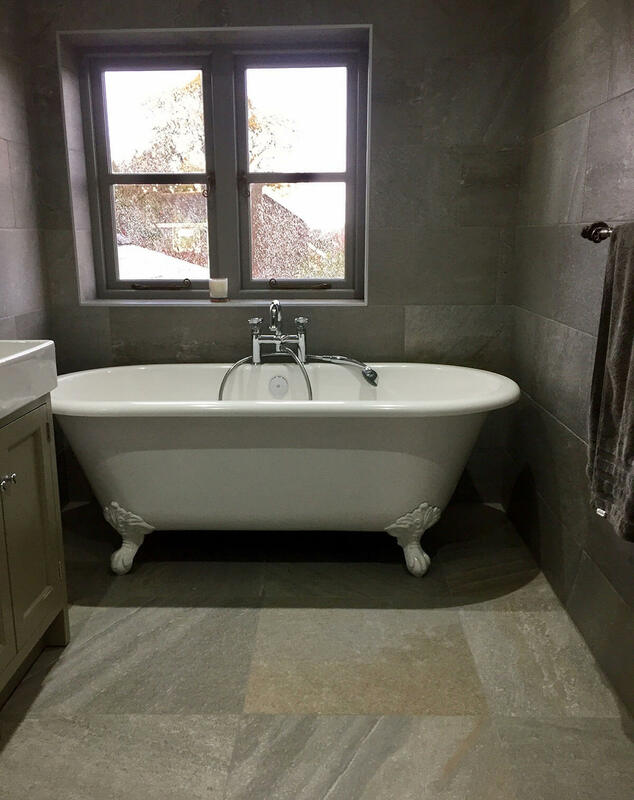 Fitted to perfection by a professional tiler and bathroom fitter, I am sure you will agree the finished result is stunning.